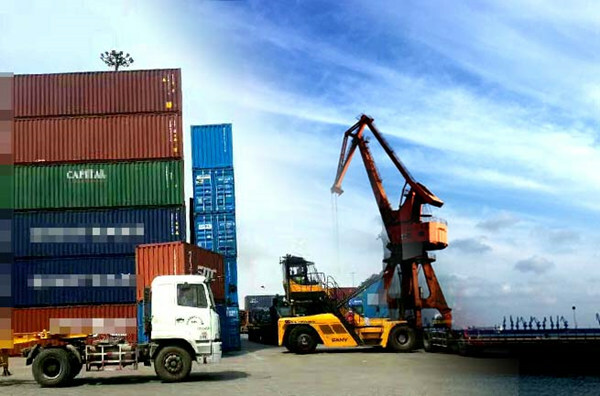 The competition of modern agricultural development is in essence the competition of industrial chain, and the integration of industrial chain should be taken as an important part of the supply-side structural reform of agriculture. We must seize the current opportunity of the demand-side consumption structure upgrading and the acceleration of supply-side reform. We should explore a pattern for the integration of agricultural industrial chain with Chinese characteristics and in light of China’s national conditions and implement policy measures on a case-by-case basis. China's agricultural industrial chain is experiencing a period of rapid development. The development of three major types of agricultural industrial chain is gaining momentum. 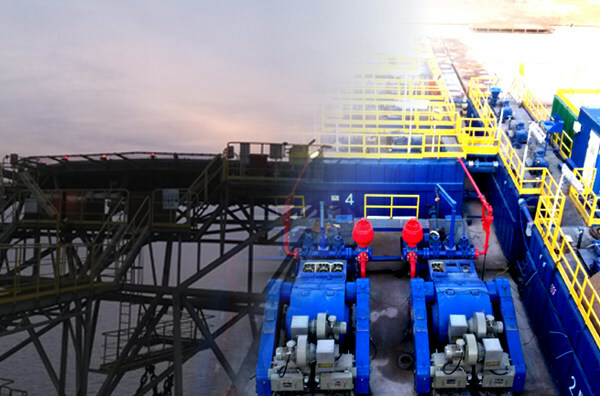 First, the processing chain is continuously strengthened; second, the service chain develops rapidly; third, the functional chain is booming vigorously. 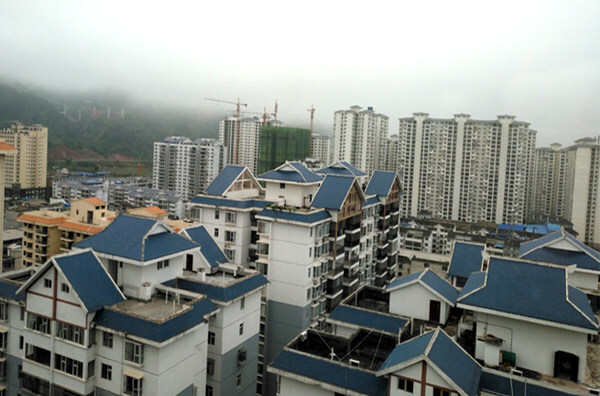 In addition, the integration mode of agricultural industrial chain is becoming diversified with various types such as professional market-driven type, farmer cooperative organization-driven type, leading enterprise plus cooperative bases plus farmer household type, industrial cluster-driven type and functional expansion type. 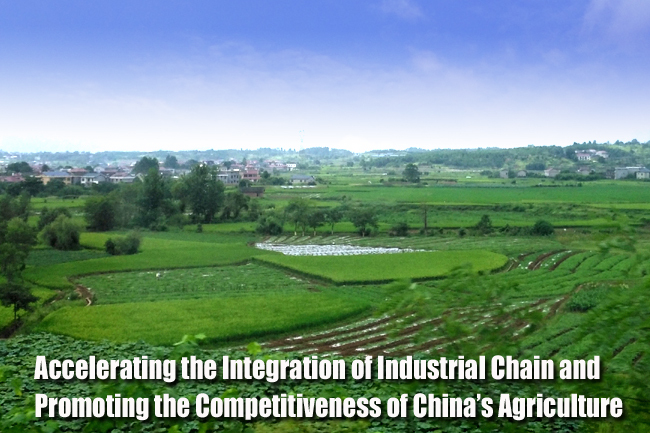 The prominent problems existing in the development of China's agricultural industrial chain are as follows. First, the overall competitiveness is not strong: the overall processing chain is short, and the driving capacity is inadequate; the service chain development lags behind, and the upper-, middle- and lower-end chains are imbalanced; the development of functional chain has just made a start. Second, the organization and integration level of industrial chain is low, and the upper-end chain is dispersed. Third, the linkage and distribution mechanism of industrial chain is imperfect. Fourth, the system of policy support and factor support is not perfect. Overall, the dairy industrial chain’s integration and the degree of market concentration is high with relatively strong competitiveness; the degree of pig and vegetable industrial chain’s organization and integration is low with weak competitiveness; the food industrial chain’s competitiveness is relatively weak. Policy options for enhancing the competitiveness of China's agricultural industrial chain are as follows. First, we need to promote the integration of different types of agricultural industrial chain with targeted measures. Second, we need to vigorously strengthen carrier construction, and actively cultivate industrial chain clusters. Third, we need to positively forge the principal entity of the industry, and enhance the competitiveness of the leading enterprises. Forth, we need to enhance the level of integration of the industrial chain, and flesh out the interest binding mechanism. Fifth, we need to improve policies and service support system in the following aspects. 1. We need to construct industrial chain-based financial service chain. 2. We need to build industrial chain-based innovation chain. 3. We need to cultivate industrial chain-based multi-level talent team. 4. We need to improve the industrial chain-based financial support mechanism. 5. We need to strengthen the construction of industrial chain infrastructure.